Mistakes happen all the time, but it isn’t often that a company, let alone an automaker, owes up to it and ensures its customers are fully satisfied. The Drive first learned about a couple from Louisville, Kentucky, who were shopping for a new car. 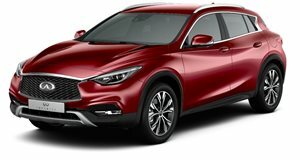 Sherri Cooper came across a Facebook ad for a 2017 Infiniti QX30 with an MSRP of $35,000. Thing was, the ad showed a sale price of $17,790. After showing it to her husband, the Coopers decided to call the dealership’s sales manager and inquire about the listing. Infiniti of Louisville, not surprisingly, confirmed the ad was a mistake and couldn’t meet that price. However, the sales manager believes in customer service, so she called Infiniti Corporate to notify them of the situation. Only a few hours later, the corporate office instructed her to honor the $17,790 price tag, and it would reimburse the dealership with the difference. Wow. Just wow. And there’s more. Infiniti Corporate then called the Coopers to personally tell them the sale price would be honored. Why? Because money wasn’t what mattered, but the company’s "integrity" and "reputation." Everybody wins in the end. The Coopers have a great new car (at half price), the dealership gets its money, and Infiniti has two new loyal customers and some rightfully earned good publicity. How did that Facebook ad mistake happen in the first place? No reason was given (probably human error), but chances are Infiniti of Louisville will pay extra attention to stuff like this from now on.